The last of my newly-acquired books I'm ready to share with you, and in some ways, my favorite. Andean Folk Knits: Great Designs from Peru, Chile, Argentina, Ecuador & Bolivia by Marcia Lewandowski. "I didn't know you knit!" you say. But I do love bright colors and bold patterns. See these cute little llamas? And if you look closely you can see on the right side of the photo, that the charts for this style of knitting are so, so easily used as patterns for other forms of needlework. 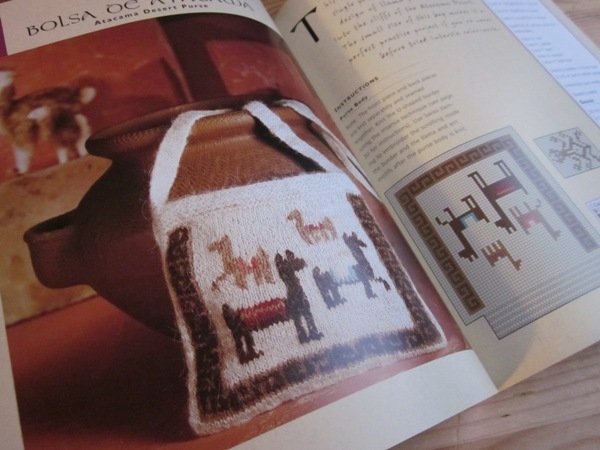 Wouldn't those little llamas be a fun and the border easily adapted into little cross-stitch sampler, for a kids room or something just a little different? If you looked closely in the first photo, you can see a similar llama on a bag my sister-in-law brought me from her travels in Bolivia. 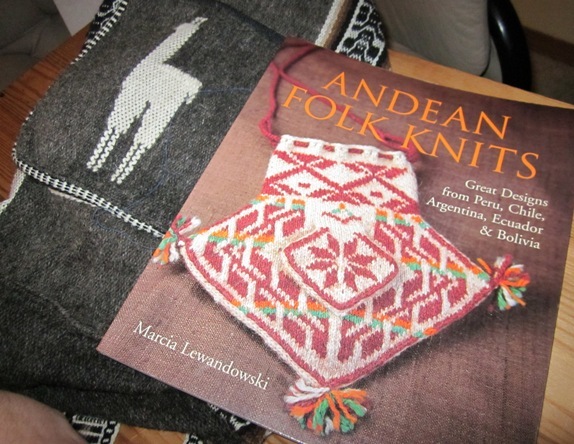 This book is packed full of projects like that, as well as lots of lovely photographs of the people and geography of the Andes. 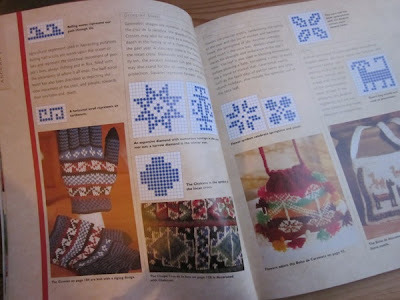 Plus, there is a section on the meanings of different motifs. I'm always fascinated to see how so many similar motifs appear in different cultures. See that eight-pointed star up there, that looks like it could be straight out of an Ackworth sampler? According to this book, that's the Summer Sun. And the narrower motif immediately to the right of the star is the Winter Sun. Wonderful! Maybe comparative meanings in motifs is a topic or two for a future post.